With Irish ancestry on both sides of her family, Nora's love of Ireland, its people, and its culture was instilled in her from a young age. She actively participated in her heritage growing up as a competitive Irish dancer and went on to obtain a teaching certification with An Coimisiun le Rinci Gaelacha (Irish Dance Commission), based in Dublin, Ireland. 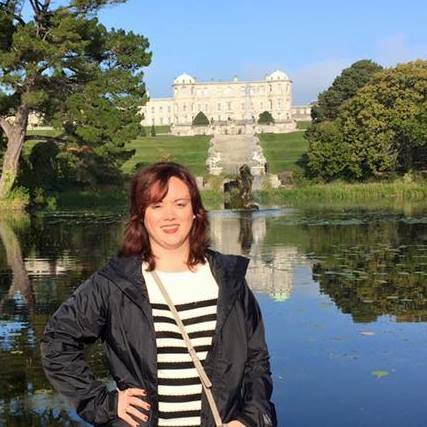 As an undergraduate studying at Duquesne University, Nora participated in a study abroad program at the National University of Ireland, Galway. Nora has also had a strong connection to Duquesne for many years. She returned in 2007 to work as an Administrative Assistant in the Department of English and Theater Arts and, in this role, one of the things Nora enjoyed most was promoting the study abroad opportunities to students and sharing her own experience with them. During the nearly ten years that Nora worked in the department, she also obtained her MBA from Duquesne's Donahue Graduate School of Business. Nora acquired dual Irish and American citizenship in 2016 and took over the position of Director for Duquesne in Dublin in Spring 2017. In Fall 2017, Nora began teaching "Intercultural Awareness and Exploration" at the Dublin campus and enjoys working with students to give them a better understanding and appreciation for Ireland and its culture. Nora is also an active member and Co-Chair of ASAPI (Association of Study Abroad Providers in Ireland). Cassie is a 2016 graduate of Duquesne University's Rangos School of Health Sciences with a degree in Health Sciences and a double minor in Information Systems Management and Sociology. 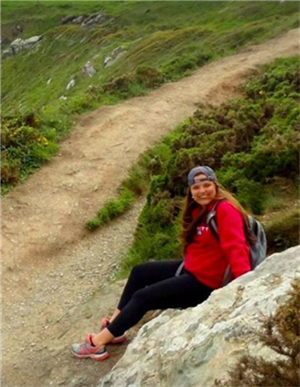 Before serving as the Duquesne in Dublin ARD, Cassie spent her Spring 2014 semester at Duquesne in Dublin while living in St. Michael's House. She is currently pursuing her Master's in International Public Health at University College of Dublin. Kerill, an Irish native, was born in Co. Antrim and moved to Dublin in 1997 having spent two years living in Dorset, England. Here in Dublin, Kerill recently graduated with 1st Degree Honors from Trinity College Dublin with a degree in Drama and Theatre Studies. 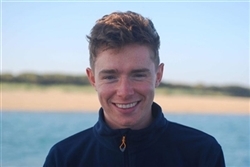 Kerill has spent the past two summers working as Activity Manager with Oxford International Education Group on their summer language programmes in London. Kerill's interests include travel, languages and literature and he is a keen performer having been acting at both an amateur and professional level since the age of sixteen. Professor Mike Cronin has been the Academic Director of Boston College Ireland since 2005. He was educated at the University of Kent and Oxford University where he was awarded his D.Phil. He has published widely on various aspects of Irish history, and is a renowned scholar in the area of sport. He is a regular media commentator on aspects of Irish and sporting history. While at Boston College, Professor Cronin has developed a series of major public history projects based around Irish topics including the 2008-12 GAA Oral History Project and since 2013, the major online repository and real time history project for the Irish Decade of Centenaries, Century Ireland. Professor Cronin has been teaching the Ireland Uncovered course at Duquesne in Dublin since Fall 2014.